It is also increasingly apparent that sharing large data sets of clinical information is fundamental to quality improvement and that there are a variety of approaches to that. At the meeting, I participated in a panel session whose participants described the approaches their organizations are taking to collect and analyze health information in the digital age. The Patient-Centered Outcomes Research Institute (PCORI), a federal agency, has awarded grants to 11 health care systems, called Clinical Data Research Networks, and 18 disease-specific patient groups, called Patient-Powered Research Networks, who together will design and conduct research to address both common and rare diseases; although none of the patient-powered research networks are focused on cancer-related diseases. On a state level, the North Carolina Central Cancer Registry is aggregating population-level data from their own registry and from public and private payer claims data sets to document disparities across geographic regions and to identify addressable factors accounting for variation in quality. The National Cancer Data Base is sourcing hospital-derived cancer data, starting with surgical data and expanding into longitudinal cancer data collection and analysis of quality outcomes measures. The NCI SEER database collects longitudinal cancer data on 28% of the United States’ population, statistically designed to represent both the general U.S. population and our disparity populations. Finally, ASCO’s CancerLinQ™ system takes a truly innovative approach to digital cancer data by collecting the entire medical database of patients with cancer residing in electronic health records. Instead of building a registry, which is an abstraction of specific pieces of data, CancerLinQ collects the entirety of the patient electronic medical record in order to represent a complete picture of disease expression, also referred to as the disease phenotype. Together, these various approaches form powerful observational data sets containing information describing patients with cancer, their treatments, the medical-system resources consumed, and clinical outcomes. That same afternoon, I flew to San Diego to attend a meeting of the Global Alliance for Genomics and Health (GA4GH), an international organization formed in 2013, dedicated to accelerating the value of genomic data by encouraging and facilitating the sharing of data sets. ASCO is a member, along with many universities, governments, health care systems, and standard-setting organizations for digital health. Much as CancerLinQ is about creating a system for the sharing of cancer phenotypic data, the GA4GH is about a system for sharing genomic data. The value of creating a community dedicated to sharing genomic data in order to accelerate learning can be seen in two proposed projects under consideration by the GA4GH. The BRCA Challenge seeks to speed up the process by which we come to understand the clinical meaning of genetic variants of uncertain significance (VUS) by allowing the sharing of data between research groups studying the same gene. In addition to supporting the more rapid re-classification of VUS, the probability that a pathologic mutation will lead to phenotypic expression can be defined more precisely, a critical attribute when counseling patients on cancer-risk management. A second project, the Matchmaker Exchange, addresses the problems of orphan diseases and of rare mutations by matching patients with shared phenotype and mutation. In the former situation, researchers of diseases with limited prevalence can see if a mutation found in a patient is seen in other patients with matching disease expression. In the latter instance, matching of patients who share a common phenotype associated with a rare, novel mutation site may discover a distinct disease sub-population. The convergence of aggregated clinical data sets describing phenotypic expression of human diseases and shared genomic data sets derived from research and diagnostic laboratories seems inevitable. One early point of convergence will be molecular tumor boards, in which clinical cases are discussed in the context of not only genomic, but also RNA transcript, protein expression, and eventually metabolic data. Already two models of molecular tumor boards have arisen. In one, the molecular interests are front and center. This type of molecular tumor board serves not only clinical care but also research and educational purposes. A didactic presentation might be coupled with a research-focused analysis of a novel mutation for possible clinical correlation and followed by case presentation with recommendation from the board on diagnostic testing approaches in search of actionable targets. A second approach adds an expert in molecular medicine to the traditional medical specialists found in a tumor board, perhaps further augmented by a bioinformaticist. Here the focus is primarily on clinical care and quality improvement. It is not too early to consider how CancerLinQ might be another point of convergence. The great value of molecular tumor boards is the human interaction, which allows spontaneous discussion with give and take between disciplines. However, they do not happen in real time, and it is burdensome to require people to synchronize busy work schedules. As knowledge grows about the clinical utility of molecular testing, clinical decision support tools built for CancerLinQ can supplement or create a virtual molecular tumor board. Another major step forward would be an innovative model that facilitates matching genomic or other molecular abnormalities with targeted agents known to have activity in other diseases but that have not yet been tested in the particular phenotype at hand. With the support of regulators and industry, an initiative such as this could greatly accelerate our understanding of what targets are truly actionable, much as the GA4GH BRCA Challenge will do for VUS. In the final analysis, it is not about the data; rather, it is about what we do with the data that is important. Finding that a nucleotide switch has occurred at a given codon in the BRCA gene is data. Understanding whether that mutation is a VUS or a driver of breast cancer development in a patient with that mutation is knowledge. Learning, however, is something different—it is applying that knowledge to benefit a patient. Initiatives such as CancerLinQ and the GA4GH will help us take those critical steps to transform data into learning. 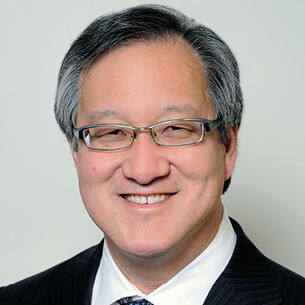 Dr. Peter Yu is the 2014-2015 President of ASCO. He is a medical oncologist and hematologist, Director of Cancer Research at Palo Alto Medical Foundation, and a member of the Alliance for Clinical Trials in Oncology and the Gynecologic Oncology Group (GOG). He is also the Chair of ASCO’s Research, Policy & Practice Subcommittee, an ASCO Liaison to the College of American Pathologists Cancer Biomarker Reporting Committee, and Past Chair of the ASCO HIT Working Group. Follow Dr. Yu on Twitter @YupOnc.